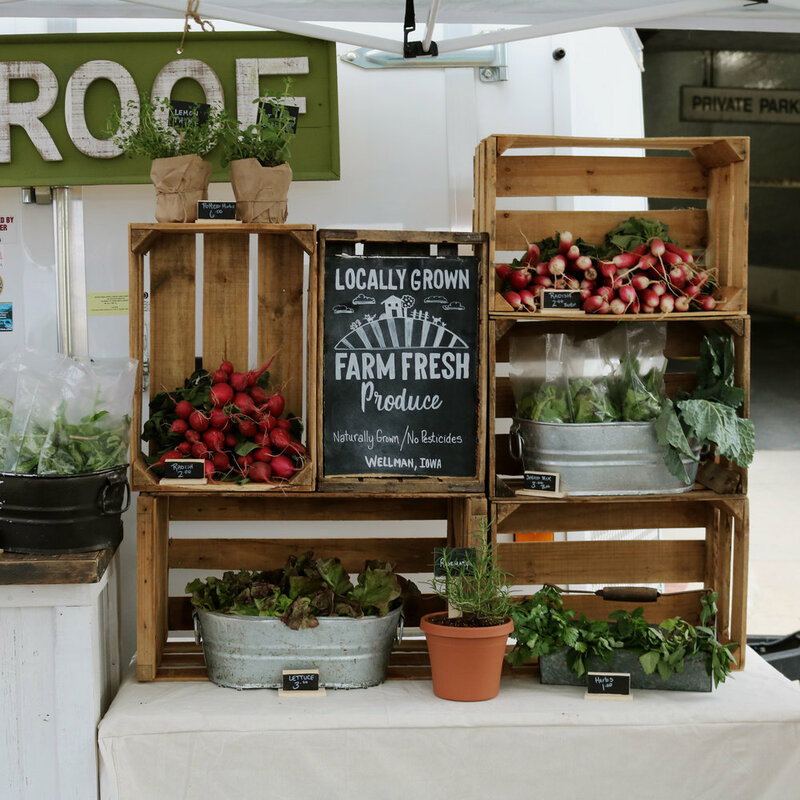 Under A Tin Roof Farm participates in several different art and farmer’s markets throughout the season including The Barn Iowa, Cedar Rapid’s Farmer’s Market, Iowa City Farmer’s Market, and more. We bring a variety of vegetables, cut flowers, homemade preserves, free range eggs, and handmade products to our markets. Our produce is not certified organic, though we follow all USDA guidelines. Be sure to check out the dates and times for the Farmers Markets that Under A Tin Roof Farm will be attending. We can’t wait to see you at the market. Thank you for your supporting locally grown food! A collaborative shopping event that makes the pages of our favorite magazines, Pinterest accounts and Instagram squares come to life in a gorgeous reclaimed barn in rural Iowa. Shop the barn overflowing with modern, reclaimed and handmade goods styled by the best Iowa has to offer! 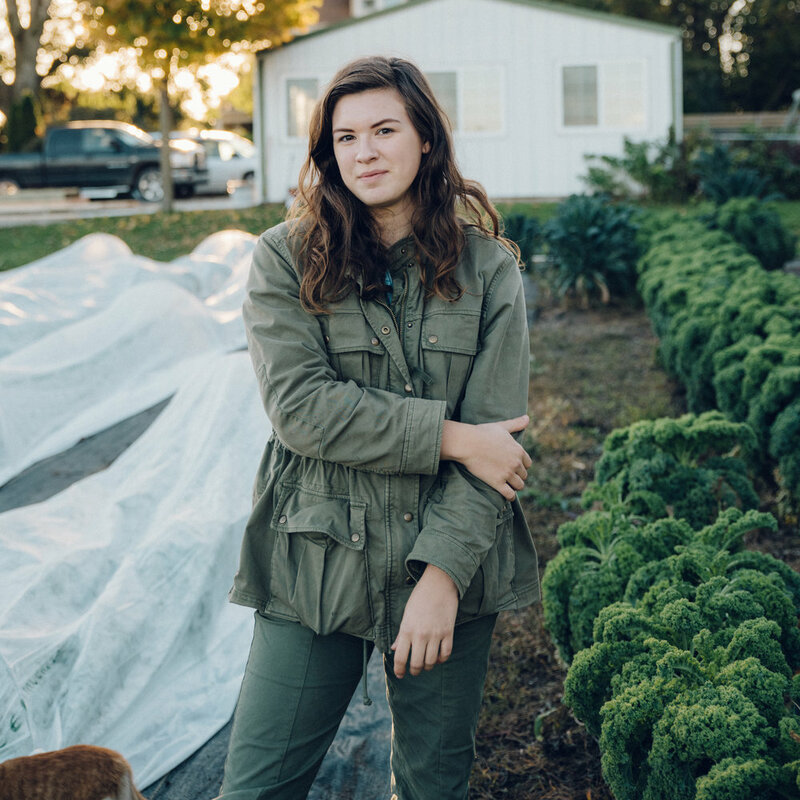 Kayla will offer two live workshops on whole food cooking and starting a small farm as well as carry along our handmade goods. 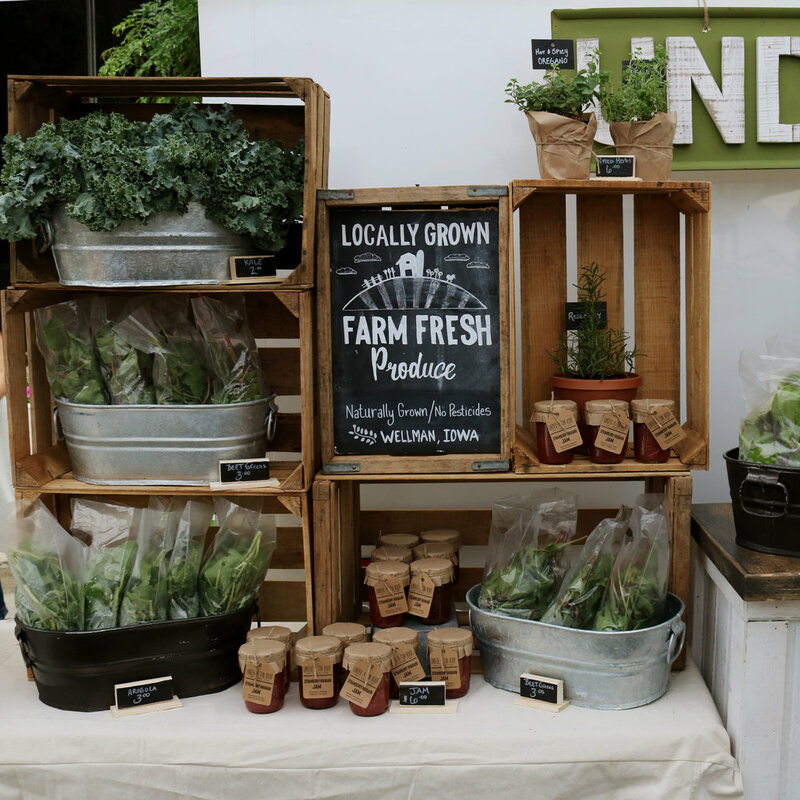 Shop from our selection of seasonal produce, cut flowers, free range eggs, homemade preserves, and handmade goods. CSA members have a chance to pick up their shares at this market each week during the season! Wednesdays from 5 to 7 p.m., May through Oct.
Shop from our selection of seasonal produce, cut flowers, free range eggs, homemade preserves, and handmade goods. 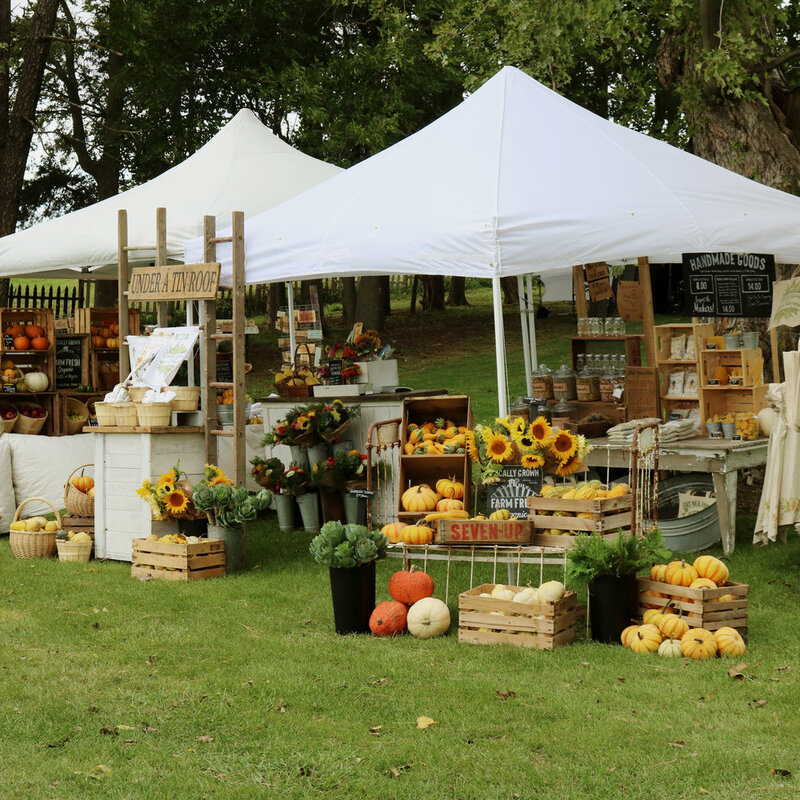 The event features nearly 200 local Iowa vendors offering an array of products from fresh produce and flowers to meats and artisan gifts. Eastern Iowa's hippest market! Here you will find the best of the best hand picked vendors from around the Midwest. Everything from handmade and vintage, to rusty, junky goodness, amazing food trucks and local live music. Just good people with good goods as we like to say. We will feature our seasonal produce, cut flowers, and handmade goods.